For the hard chromium plating with chromium layers up to several millimetres and burnished chromium plating with a chromium layer from 0,2 micro m to 0,5 micro m.
To be used for the galvanic tin plating of products for the electronic and galvanic industry. 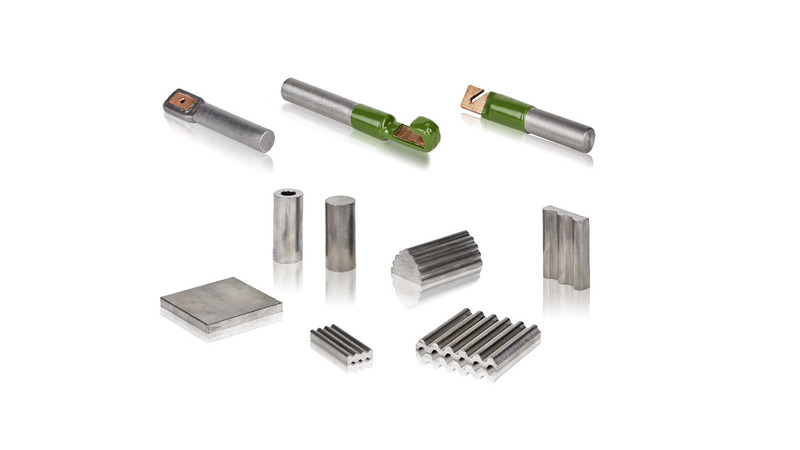 Lead-alloyed anodes for the chromium plating are produced with a special procedure. With this procedure we succeeded in ensuring that the fine-grained quality of the microstructure roughly runs over the whole anode. For anodes with copper contacts or copper contacts with vibration reducing steel core our new connection system is adapted to all requirements in production.